When judges or officials are incompetent, malicious, or plain mean and violate your civil rights there are two other means that the public usually doesn’t realize by which they can obtain relief even during the case. The judge or official must have a mandatory (non-discretionary) duty under the law or constitution to do a particular act, must have failed to do it, and must be able to do it if ordered to do so in order to use a mandamus complaint. Civil rights law is very complicated. Both types of complaints should be handled by an attorney, but as a starting place if you are interested in such complaints then this is an example that was filed by me, a non-attorney pro se. Look up the case law and look up cases regarding mandamus or civil rights in the circuit courts and under your states’ laws. Mandamus – this is where you ask a court to order an official (including a judge) to perform a task that is mandatory and not discretionary like set a bail when no bail was set in violation of the law – in Illinois no bail is allowed only on murder cases, cases where the sentence may be life, or cases where a due process hearing was held and the defendant is proven to be a danger to the public or himself. Civil rights complaint for declaratory and injunctive relief. Suppose a court refuses to allow you to put any witnesses on the stand, refuses to allow you to subpoena documents or refuses to accommodate your disabilities, even when you discussed them with the disability coordinator and followed the court procedures. Under the federal civil rights act section 1983 you can ask a different court (either state or federal) under federal law to declare the judge’s acts or orders in violation of law or the constitution (declaratory relief) and order the judge to follow the law and allow you compulsory process or force the judge to accommodate your disabilities (injunctive relief). The legal profession from attorneys to judges and police officers are NOT taught sufficiently about the difference between the lay, professional, and legal understanding and interpretation of terms such as insanity, temporary insanity, fitness, and mental illness. This is a specialized area of law that invades all criminal courts and the misuse of these concepts harm the mentally ill, the disabled, the victims of crimes, the innocent accused, as well as society as a whole. It is imperative that American courts come to grips with this unfortunate situation as 11% of the population is known to suffer from mental illness and American prisons and jails have become the largest and most inadequate providers of mental health services in America today. Please feel free to distribute this document to all attorneys and judges, as well as pro se (self-represented) litigants. I would appreciate a note about where you have distributed it and how well it is received. Small claims court can be frustrating when judges look down on pro se plaintiffs and simply rubber stamp everything the defendant’s lawyer states. This is a sample appeal of such an unjust ruling where the plaintiff lost due to I believe purposeful misconduct of an attorney and a judge. Read the Appellant’s brief here. Note that appeals are not like trials. The Appellate Court may ONLY consider information on the record on appeal and in the transcripts. YOU CAN NOT ADD new evidence or information. Therefore, at trial in the local court, make a list and make sure you have all your witnesses and evidence or you won’t be able to add it later. If the judge refuses to hear a witness or allow you to introduce evidence, then ask the judge to “make an offer of proof” (i.e. to have the person testify or admit the evidence without it being considered just so that it is on the record). If you anticipate this will be a problem, then file the evidence or affidavit instead of as a motion, label it an “offer of proof” and file it in your case attached to this “offer of proof” where you state you are filing this offer of proof and why you are doing so. The litigants names and case number were changed so they remain anonymous, except for the name of the corrupt landlord’s corporation and the judge. Remember, in small claims, Illinois Supreme Court Rules 286(b) allows a small claims court to hear and view all relevant evidence, admit evidence with more relaxed rules of procedure and rules of evidence upon order of the court. This means the court may allow affidavits as evidence and not require the presence of a witness and may allow documents to be admitted without strict rules of authentication. You must follow strictly all appeal rules, so don’t forget to read Illinois Supreme Court Rules for civil appeals and your local court rules also. Illinois Supreme Court Rules are here. If you don’t follow them, your appeal will be rejected. Note that you can not just make conclusory statements (“They ripped me off”). You must back up all your statements, documents, testimony with evidence (testimony by witnesses, documents and reference to “authorities”), with case law (where a court has interpreted a law and said this is how the rules or statutes work and what they mean), or back it up with reference to other authorities (statutes, supreme court rule, administrative rules – note statutes are sent to administrative rules committee and then an administrative rule is made – many pro se litigants are not aware of this – see here; there are similar administrative rules in federal law and all state laws). “David Camm Blog: Investigation under fire”. WDRB. October 10, 2013. PLEASE come to court and show support for Shelton at the next court date on Jan 13, 2016, 10am, 2600 S California, Chicago IL, courtroom 506. Write letters to the U.S. Attorney, Sen. Durbin, Sen. Kirk, your senator, Rep. Lipinsky or your representative, and the press. Some addresses are at end of post. Spread the word through social media that Shelton needs public support to continue these blogs and fight unlawful attacks against her in retaliation for them and for helping so many with pro se litigation and defense. You can file a Petition for adjudiction of criminal contempt against the attorney whether the case is in the local court or the appellate court. You should attach an affidavit stating that you have reviewed the transcripts or motion wherein the false statement was made. You should swear that the statement was false and how it was false You can ask the court to hold the attorney in contempt for fraud upon the court and sentence him for criminal contempt after a trial. If the court holds the attorney in contempt for fraud, then you can file with the ARDC and ask for the attorney to be disbarred. ARDC = Attorney Regulatory and Disciplinary Commission. A petition is written just like a motion, but it is a collateral proceeding and not part of the case. It should be given a separate case number by the clerk. Opposing counsel is an officer of the court. Attorneys have a code of conduct under IL Supreme Court Rules that prevent them from making false statements. They can be disbarred and should be. Civil contempt is when you disobey an order and you hold the keys to the jail as you can expunge the order to jail you if you comply with the order such as pay child support or perform an act ordered by the judge. This is not an attempt to embarrass the court or bring the court into disrepute. The following contains extensive important case law relevant to above and your cases. Major controlling case with amici including Legal Assistance Foundation of Metropolitan Chicago (LAF), the Lawyer’s Committee for Better housing (LCBH), Cabrini-Green legal Aid (CGLA) and the Northwestern University School of Law Bluhm Legal Clinic (Bluhm Clinic). “Contempt of court has been defined as any act that is calculated to embarrass, hinder, or obstruct a court in the administration of justice, or that is calculated to lessen its authority or dignity.” Levaccare v. Levaccare, 376 Ill.App.3d 503, 508, 315 Ill.Dec. 280, 876 N.E.2d 280 (2007), quoting People v. Budzynski, 333 Ill.App.3d 433, 438, 266 Ill.Dec. 713, 775 N.E.2d 275 (2002). Criminal contempt sanctions are punitive in nature and require a finding that the contemptuous conduct was willful. People v. Minor, 281 Ill.App.3d 568, 574, 217 Ill.Dec. 449, 667 N.E.2d 538 (1996); People v. Ernest, 141 Ill.2d 412, 422, 152 Ill.Dec. 544, 566 N.E.2d 231 (1990). Civil contempt is prospective in nature, and is “designed to compel future compliance with a court order.” Emery, 374 Ill.App.3d at 977, 313 Ill.Dec. 502, 872 N.E.2d 485, quoting In re Marriage of Sharp, 369 Ill.App.3d 271, 279, 307 Ill.Dec. 885, 869 N.E.2d 539 (2006). Although a court may enforce an order to pay money through contempt, this power is “limited to cases of willful refusal to obey the court’s order.” In re Marriage of Logston, 103 Ill.2d 266, 285, 82 Ill.Dec. 633, 469 N.E.2d 167 (1984). Trial courts have inherent authority to impose sanctions against a party that fails to abide by valid court orders. Sander v. Dow Chemical Co., 166 Ill.2d 48, 67, 209 Ill.Dec. 623, 651 N.E.2d 1071 (1995); Smith v. City of Chicago, 299 Ill.App.3d 1048, 1054, 234 Ill.Dec. 108, 702 N.E.2d 274 (1998). It is also clear and well-settled Illinois law that any attempt to commit “fraud upon the court” vitiates the entire proceeding. People v. Sterling, 357 Ill. 354; 192 N.E. 229 (1934) (“The maxim that fraud vitiates every transaction into which it enters applies to judgments as well as to contracts and other transactions.”); Moore v. Sievers, 336 Ill. 316; 168 N.E. 259 (1929) (“The maxim that fraud vitiates every transaction into which it enters …”); In re Village of Willowbrook, 37 Ill.App.2d 393 (1962) (“It is axiomatic that fraud vitiates everything.”); Dunham v. Dunham, 57 Ill.App. 475 (1894), affirmed 162 Ill. 589 (1896); Skelly Oil Co. v. Universal Oil Products Co., 338 Ill.App. 79, 86 N.E.2d 875, 883-4 (1949); Stasel v. The American Home Security Corporation, 362 Ill. 350; 199 N.E. 798 (1935). Fraud does not always divest court of jurisdiction and cause orders to be void. They however would be voidable. Misrepresentation of neglect in petition for wardship did not void jurisdiction. Fraud can render a judgment void, but not all fraud can do so. (Johnson v. Hawkins (1972), 4 Ill.App.3d 29, 32, 280 N.E.2d 291.) There is a difference between fraud that confers only colorable jurisdiction upon the court, and fraud that occurs after the court’s valid acquisition of jurisdiction; only the former type of fraud will render a judgment void. (Schwarz v. Schwarz (1963), 27 Ill.2d 140, 144-45, 188 N.E.2d 673.) The latter type of fraud, fraud that occurs after jurisdiction has been acquired, will render the court’s order voidable, but not void for lack of jurisdiction. (Vulcan Materials Co. v. Bee Construction, 96 Ill.2d at 165, 70 Ill.Dec. 465, 449 N.E.2d 812; In re Marriage of Noble (1989), 192 Ill.App.3d 501, 509, 139 Ill.Dec. 133, 548 N.E.2d 518; James v. Chicago Transit Authority (1976), 42 Ill.App.3d 1033, 1034-35, 1 Ill.Dec. 552, 356 N.E.2d 834; Johnson v. Hawkins, 4 Ill.App.3d at 32, 280 N.E.2d 291.) Fraudulent concealment, for example, renders a court’s orders voidable, not void. 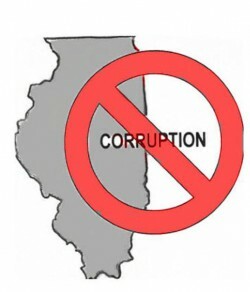 In re Application of County Treasurer (1990), 194 Ill.App.3d 721, 726, 141 Ill.Dec. 350, 551 N.E.2d 343. _____? citation_______Scott, 377 Mass. 364, 386 N.E. 2d 218, 220 (1979) See Lopez-Alexander, Unreported Order No. 85-279 (Colo. May 3, 1985) (Judge removed for, inter alia, a persistent pattern of abuse of the contempt power. The Mayor of Denver accepted the findings of the Denver County Court Judicial Qualification Commission that the judge’s conduct could not be characterized as mere mistakes or errors of law and that the conduct constituted willful misconduct in office and conduct prejudicial to the administration of justice that brings the judicial office into disrepute). Canon Ethics where there is a pattern of disregard or indifference, which warrant discipline. Section 1983 of U.S.C.S. contemplates the depravation of Civil Rights through the Unconstitutional Application of a Law by conspiracy or otherwise. Mansell v. Saunders (CA 5 F 1A) 372 F 573, especially if the conspiracy was actually carried into effect, where an action is for a conspiracy to interfere with Civil Rights under 42 U.S.C.S. 1985 (3), or for the depravation of such rights under 42 U.S.C.S. 1983, if the conspiracy was actually carried into effect and plaintiff was thereby deprived of any rights, privileges, or immunities secured by the United States Constitution and Laws, the gist of the action maybe treated as one for the depravation of rights under 42 U.S.C.S. 1983, Lewis v. Brautigam (CA 5 F 1a) 227 F 2d 124, 55 ALR 2d 505, John W. Strong, 185, 777-78 (4 th ed. 1992). Properly alleged facts within an affidavit that are not contradicted by counter affidavit are taken as true, despite the existence of contrary averments in the adverse party’s pleadings. Professional Group Travel, Ltd. v. Professional Seminar Consultants Inc., 136 ILL App 3d 1084, 483 N.E. 2d 1291; Buzzard v. Bolger, 117 ILL App 3d 887, 453 N.E. 2d 1129 et al. Where the public policy of the State of Illinois is violated, the order is void, Martin-Tregona v. Roderick, 29 Ill.App.3d 553, 331 N.E.2d 100 (1st Dist. 1975). A COURT MAY AWARD THE NONCUSTODIAL PARENT CHILD SUPPORT IF THE CUSTODIAL PARENT IS MUCH WEALTHIER THAN NONCUSTODIAL PARENT. THIS IS SO THAT CHILD CAN LIVE SAME LIFESTYLE WITH BOTH PARENTS. Appellate citation: 2013 IL App (1st) 122486. JUSTICE KARMEIER delivered the judgment of the court, with opinion. Chief Justice Garman and Justices Freeman, Kilbride, and Burke concurred in the judgment and opinion. Justice Theis specially concurred, with opinion, joined by Justice Thomas. The parties to this Cook County child support dispute divorced in 2005 and have two sons, now ages 17 and 15. In 2012, the circuit court entered an agreed order establishing the father as custodial parent and setting up a visitation schedule for the mother under which she had regular visitation with the older boy once a week, for dinner on Wednesdays, and regular visitation with the younger boy, with weekly visits from Monday to Wednesday mornings, plus alternating weekends. This system gave her nearly equal time with him. At this time it was determined that the father earned approximately $150,000 per year and that the mother was earning less than $10,000. The father asked for termination of his obligation to pay support based on his custodial status, but the circuit court’s order required him to pay $600 per month in child support and to fund medical expenses not covered by insurance. The father’s claim that his designation as custodial parent meant that statute precluded requiring him to pay child support to a noncustodial parent was rejected by the circuit court, and the father appealed. The appellate court, like the circuit court, rejected the father’s claim of no obligation to pay child support, and it affirmed this aspect of the trial court’s ruling. However, it remanded for an evidentiary hearing for reconsideration as to the support amount. It did not, however, interfere with the circuit court’s ruling as to medical expenses. In this decision, the Illinois Supreme Court said that the Illinois Marriage and Dissolution of Marriage Act expressly confers on courts the option to order either or both parents to pay an amount that is reasonable and necessary for the support of the child, and, in its discretion, to order payment of various expenses determined to be reasonable, including health needs not covered by insurance. The supreme court explained that a parent who is technically noncustodial may have visitation rights which place the child in that parent’s care for periods of time which involve commensurate cost. This can be problematic if the noncustodial parent has fewer resources to meet the substantial support costs of an extensive visitation schedule. This would not only be unfair, but would leave the poorer parent with insufficient resources to care for the child in a manner even minimally comparable to that of the wealthier parent. A child should not end up living commensurate with the wealthier custodial parent’s income only half the time, when staying with the wealthier custodial parent. This could be detrimental to the child. Therefore, a trial court may order a custodial parent to pay child support where the circumstances and the best interests of the child warrant it. While rejecting the custodial father’s claims as to the meaning of the statute, the appellate court had remanded for an evidentiary hearing, with directions for the circuit court to clearly explain the basis for any support awarded. It was correct in this regard, but the supreme court held that, on remand, the circuit court should also revisit with specificity the issue of what portion of uninsured medical expenses the father should be required to pay. The appellate court was, thus, affirmed in part and reversed in part. If incarcerated for failing to pay child support must have been given due process – notice, due process evidentiary hearing where it must be proven that defendant has ability to pay child support, and counsel. In a civil case, due process does not always involve appointment of counsel. and the opposing counsel (parent) is pro se, then the court is not required to appoint counsel. These are used to preserve evidence or testimony for the record when the court bars its introduction during the trial or during an evidentiary hearing. During a trial, if an offer of proof is formally made, the jury will be excluded and the witness is put on the stand so that the testimony will be on the transcript or the attorney/pro se counsel may put the evidence on the record or state what they expect a witness would have said in detail, just to get it on the record for purposes of appeal. Anything not on the record cannot be considered for appeal. If the judge won’t let you do this, you can file an offer of proof with an attached affidavit as to what the witness would have said or attached evidentiary document. This memorandum explains offers of proof a little more clearly. Everything I write uses Illinois and federal case law. NOW COMES, Linda Shelton who respectfully presents to the court this memorandum of law. The refusal to allow an offer of proof in a trial denies due process and is reason for overturning the verdict. Every defendant has a Sixth Amendment right to present a defense. People v. Manion, 67 Ill.2d 564, 10 Ill.Dec. 547, 367 N.E.2d 1313 (1977) It is a fundamental error to deny the right to present a defense that requires the verdict be overturned. (Ibid) Refusing to allow a person to place an offer of proof on the record, de facto denies defendant the right to present a defense. “When a party claims she has not been given the opportunity to prove her case because the trial court improperly barred certain evidence, she “must provide [the] reviewing court with an adequate offer of proof as to what the excluded evidence would have been.” In re Estate of Romanowski, 329 Ill. App. 3d 769, 773, 771 N.E.2d 966, 970 (2002). An offer of proof serves two primary functions: (1) it discloses to the trial court and opposing counsel the nature of the offered evidence, thus enabling the court to take appropriate action, and (2) it provides the reviewing court with an adequate record to determine whether the trial court’s action was erroneous. People v. Thompkins, 181 Ill. 2d 1, 10, 690 N.E.2d 984, 989 (1998). The traditional way of making an offer of proof is the “formal” offer, in which counsel offers the proposed evidence or testimony by placing a witness on the stand, outside the jury’s presence, and asking him questions to elicit with particularity what the witness would testify to if permitted to do so. People v. Wallace, 331 Ill. App. 3d 822, 831, 772 N.E.2d 785, 794 (2002); M. Graham, Cleary & Graham’s Handbook of Illinois Evidence §103.7, at 22 (8th ed. 2004). In lieu of a formal offer of proof, counsel may ask the trial court for permission to make representations regarding the proffered testimony. If counsel so requests, the court may–within its discretion–allow counsel to make such an informal offer of proof. A trial court may deem an informal offer of proof sufficient if counsel informs the court, with particularity, (1) what the offered evidence is or what the expected testimony will be, (2) by whom it will be presented, and (3) its purpose. Kim v. Mercedes-Benz, U.S.A., Inc., 353 Ill. App. 3d 444, 451, 818 N.E.2d 713, 719 (2004). However, an informal offer is inadequate if counsel (1) “merely summarizes the witness’ testimony in a conclusory manner” (Snelson v. Kamm, 204 Ill. 2d 1, 23, 787 N.E.2d 796, 808 (2003)) or (2) offers unsupported speculation as to what the witness would say (People v. Andrews, 146 Ill. 2d 413, 421, 588 N.E.2d 1126, 1132 (1992)). In deciding whether to permit an informal offer of proof, the court should ask itself the following questions: (1) Are counsel’s representations accurate and complete? and (2) Would a better record be made by requiring counsel to make a formal offer of proof, even though doing so might be inconvenient and require more time? In addition, before deciding whether to accept counsel’s representations in lieu of a formal offer, the trial court should ask opposing counsel if he objects to proceeding in that fashion, even though counsel’s response in no way limits the court in exercising its discretion on this matter. If opposing counsel concedes the sufficiency of the offer or has no objection to proceeding by counsel’s representations, then opposing counsel’s client may not later challenge the court’s decision to proceed by counsel’s representations, rather than a formal offer. See In re Detention of Swope, 213 Ill. 2d 210, 217, 821 N.E.2d 283, 287 (2004) (“Simply stated, a party cannot complain of error which that party induced the court to make or to which that party consented”); In re Marriage of Sobol, 342 Ill. App. 3d 623, 630, 796 N.E.2d 183, 188 (2003) (a party forfeits the right to complain of an alleged error when to do so is inconsistent with the position the party took in the trial court). We emphasize that a trial court is never required to settle for less than a formal offer of proof, whatever the positions of the parties at trial may be. Whether to do so is left entirely to the court’s discretion. Thus, if the trial court is not satisfied that counsel’s representations alone are sufficient, the court may require counsel to place his witnesses on the stand and make a formal offer of proof.” Miller v. Miller, 2004 Ill. App. 4th Dist. “Offers of proof are technically not evidentiary motions but rather serve as a sort of narrative insurance policy for appeal. Offers of proof are designed to preserve the record and guarantee that testimony that is not allowed is at least previewed for the appellate court. The purpose of offers of proof is discussed in Lagestee v. Days Inn Management Co., 303 Ill.App.3d 935, 709 N.E.2d 270, 237 Ill.Dec. 284 (1st Dist. 1999). Lagestee followed previous holdings that offers of proof are made to disclose to opposing counsel and the trial court the substance of excluded evidence and to enable the reviewing court to determine whether the trial court committed error thereon. It should be noted that unlike most of the motions made at trial, a motion to make an offer of proof is not subject to the discretion of the court. It has been held in People v. Richmond, 201 Ill.App.3d 130, 559 N.E.2d 302, 147 Ill.Dec. 302 (4th Dist. 1990), that trial courts are required to permit counsel to make offers of proof. Refusal to permit an offer may constitute error. However, refusal of an offer is not error if the suggested testimony is not relevant. Because offers of proof are essential to make and preserve a viable record, the offers should be as accurate as possible. In Snelson v. Kamm, 319 Ill.App.3d 116, 745 N.E.2d 128, 253 Ill.Dec. 354 (4th Dist. 2001), aff’d in part, rev’d in part, 204 Ill.2d 1 (2003), an offer was held adequate if it informed the court of the particular answer that would have been given. Note that Snelson also holds that a summary or synopsis will not suffice. The offer must be as accurate as possible. To insure that the offer is as accurate as possible, the author would urge that counsel write out, or at least loosely outline, the offer in advance so that it can be read carefully into the record. Obviously, the offer cannot always be written out; but in most instances, the opponent’s objection and the court’s possible denial can be anticipated. A written statement or an outline helps to ensure that all necessary evidentiary elements are included and clearly and artfully set forth. If the need for an offer has not been anticipated, counsel may ask the court’s indulgence for a short break to gather his or her thoughts and compose or outline the offer. If the evidence has been excluded during the testimony of a witness, the questions and proposed answers should be set so as to show the reviewing court what has been excluded. The traditional or classic method of making the offer involves posing the question and eliciting the answers from the witness. The alternative to the questions-and-answers format is for counsel to read the offer into the record. Presenting an offer of proof by orally reciting the substance of the expected testimony was specifically approved in Wright v. Stokes, 167 Ill.App.3d 887, 522 N.E.2d 308 (5th Dist. 1988). Although it runs counter to the conventional method of putting the witness on the stand, the narrative by counsel is the most effective and safest method. The narrative avoids an inarticulate or nervous witness who is very likely to be shocked and concerned by the exclusion of his or her testimony, insures that the testimony is on point, and should provide the optimum voice in setting forth the reasons why the evidence has been improperly excluded. An offer read into the record by counsel is generally more orderly and better understood. In making the offer, specificity is the goal. Conclusory or summary statements as to what the testimony or evidence would have shown will not preserve the record. Snelson, supra. Any offer of proof should be made out of the presence of the jury, and it is suggested that at the close of the offer counsel renew the request that the testimony be allowed into evidence. Restatement of the request gives continuity to the record, ties up loose ends, and ensures that the offer and the ruling of the court are tied together and understood by the reviewing court. Various texts and cases reflect a further relaxation in the method of making an offer and go as far as to suggest that it is not needed at all when the court clearly understands the objection and the nature of the evidence being offered. See People v. Foster, 81 Ill.App.3d 915, 401 N.E.2d 1221, 37 Ill.Dec. 128 (1st Dist. 1980). Notwithstanding Foster, it is strongly suggested that the offer of proof be made outside the presence of the jury in a formal manner whenever testimony has been circumscribed in whole or in part. From a purely practical standpoint, there is generally little likelihood that the offer of proof will have an immediate impact on the trial court. The fact that the offer is being made is indicative of the trial court’s position. The offer is primarily directed toward compiling and preserving an accurate record for appeal. Since the offer entails the refusal of testimony during the case in chief, it properly should be viewed as a very serious motion deserving careful attention. Add your case’s caption, add the standard ending to a court pleading (Respectfully submitted by _______, and the litigants name address and phone), as well as a notice of service and filing. NOW COMES Linda Shelton who respectfully presents to the court this memorandum of law. A defendant has a right to present a defense, as in In re Marriage of A’Hearn, 408 Ill.App.3d 1091, 947 N.E.2d 333, 349 Ill.Dec.696 (2011), where the court ruled that it was too harsh a sanction as well as it ignored the best interest of the child, when in a post-trial motion to change custody was dismissed due to the litigant violating discovery. The court ruled that the best interests of the child were so important that a discovery violation was not extreme enough to deny a hearing on the merits. It is a fundamental doctrine of law that a party to be affected by a personal judgment must have his day in court, and an opportunity to be heard. Renaud v. Abbott, 116 US 277, 29 L Ed 629, 6 S Ct 1194 (1886). Every person is entitled to an opportunity to be heard in a court of law upon every question involving his rights or interests, before he is affected by any judicial decision on the question. Earle v McVeigh, 91 US 503, 23 L Ed 398 (1875). Per the U.S. Supreme Court, a judgment of a court without hearing the party or giving him an opportunity to be heard is not a judicial determination of his rights. Sabariego v Maverick, 124 US 261, 31 L Ed 430, 8 S Ct 461 (1888), and is not entitled to respect in any other tribunal. Discovery in misdeemanor cases in Illinois do NOT follow the Illinois Supreme Court Rules on discovery which only apply to felony cases. The rules in misdemeanor cases are described in a case called People v. Schmidt, 56 Ill.2d 572 (1974). They required the states attorney to give the defense a 1) witness list, 2) copy of confessions, and 3) any exculpatory evidence (evidence that proves the defendant or suggests the defendant is not guilty). The defendant is NOT obliged to provide the state anything including witness lists in misdemeanor discovery. The defendant’s witnesses can decide to refuse to speak to the state’s attorney’s investigators. There are exceptions, but the state or defendant must ask for additional discovery by motion and have a hearing before the court about this issue. The only change in the law was in a case called People v. Kladis, 2011 IL 110920 ¶ 23, 355 Ill.Dec. 933, 960 N.E.2d 1104 [#110920, 2011 IL 110920, 2011 Ill. Lexis 2236, 2011 IL 110920] where the court ruled that the state must also provide videos from police cars capturing the incident in discovery. See this page describing all this in more detail. Deliberations Blog – Jury Selection, etc.